We are here to make your move painless; we can be the helping hands or completely move you. Although moving is stressful, letting our professional team help you can make it a smooth and easy process. We would love to help you in every step of the way, it doesn't matter if you are just planning or you're already halfway done. We know everyone's budget, situation, and belongings vary and we offer the following moving combinations, so you can decide what works best for you. This type of service is the best choice for you and your family. Not only does it save you time but also the headache and worry that comes from packing your home and belongings into boxes. We will professionally pack everything in your home, move it, and unload it into the designated room quickly and gently. If you wish, we can help you begin unpacking the biggest boxes or the most crucial items to get you a head start. This is the most common option. If you have everything packed and only need fast and experienced movers to help take your belongings to your new home, you found us. We can help you move everything, mainly big things, or just a couple items from your home. We bring the trucks, protective padding, and all tools and equipment to help you move as quickly and safely as possible. When you need the professional help to properly load your rental truck, trailer, POD, or container, we are the team to help. We have the experience and tools to load it properly and protect your belongings. Our team will shrink wrap your furniture to protect it during transit or use blankets rented with your truck. 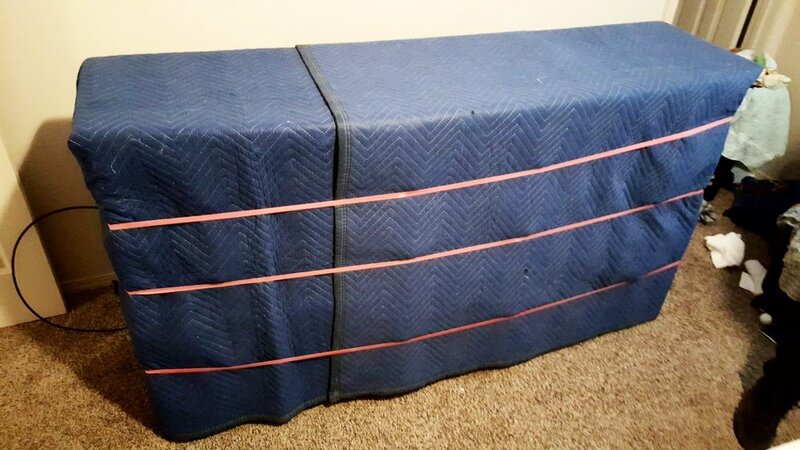 We offer moving supplies for sale, including straps, bags, paper pads, and blankets that will help protect your belongins from scratches or damage. If you are moving items or furniture within the same property, apartment complex or building, we would love to help you. This service doesn't necessarily require a truck, but we bring all the tools and pads to move your items safely and quickly. If you already did all the small stuff, but realized it's goign to be hard to do the remaining large piece, this service is for you. Its a flat rate, $99 for the first piece and $10 each additional item. This means you can move your appliances, couches, beds, and outdoor items for less. 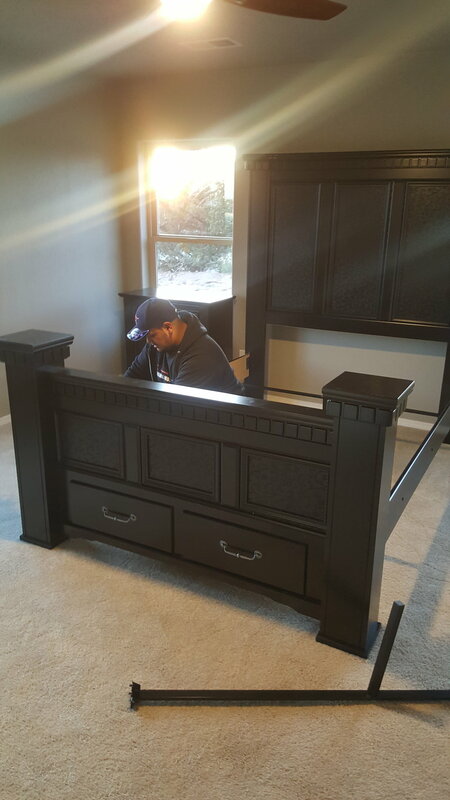 Keep in mind that a chest of 8 drawers is considered 1 piece if still put together. A bed on the other hand is 3 pieces, Mattress, Boxspring, and Frame. If unsure, give us a call. We will be gald to help. We love helping our neighbors move. 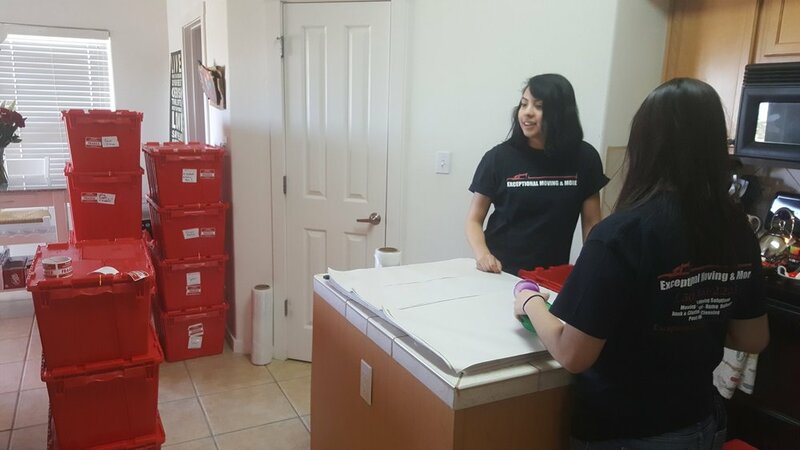 When our customers choose Exceptional Moving for their move, they know they are taken care of by a professional team that will avoid issues or damages before they occur. By padding all furniture, protecting your home, and treating items with the care and attention they deserve, our team can make your experience as stress-free as possible. Our team will call you when in route to your home, you will have an hour arrival window. As soon as they arrive, they will do a walkthrough of your home, to be aware of everything that's getting moved and anything that requires extra care. We get started by protecting your furniture and loading up the truck strategically and quickly. When we are all done, we do a walkthrough to make sure everything is loaded and get it to your new place. When all is unloaded and assembled, we will process payment and have you verify the truck is empty of all your belongings. SIMPLE AND INCLUSIVE RATES: Transparency is key to our team. Before any work is done a specialist will go over your rates, charges, and limitations. Our prices are all inclusive, don't risk a "long distance walk" or "overweight item" fees or any other surprise charges. Our focus is to be honest and upfront. PEACE OF MIND: We make sure things get done right, the first time to avoid wasted time or damages. We bring along the professional equipment and padding for your home and furniture, its safety over everything here at Exceptional. We only hire the best of the best to handle your belongings. FULLY INSURED: Our training and expectations when it comes to our movers and drivers is above standard, but accidents could occur. In the event of a catastrophic loss, a fire, or damage caused by something out of our control, we carry insurance in the federally-required amounts for public liability, property damage, and cargo loss and damage. EMERGENCY HELP : Move wasn't planned? Did your other movers cancel? No worries, we normally have teams available to move you within 24 Hours! Just do yourself a favor and schedule with us ahead of time to avoid the stress and anxiety. OUR EXCEPTIONAL TEAM: Every person on our team strives to be the fastest, most efficient, and gentle mover. Every person on our team is required to have a clean Criminal, Driving, and Professional record. Your home and your safety is our top priority, we would never allow just anybody into your home or business. SCHEDULE, RELAX, AND BE HAPPY: As of right now, you can stop worrying about choosing a professional and reliable mover, just give us a call or request a date online. It couldn't be easier.